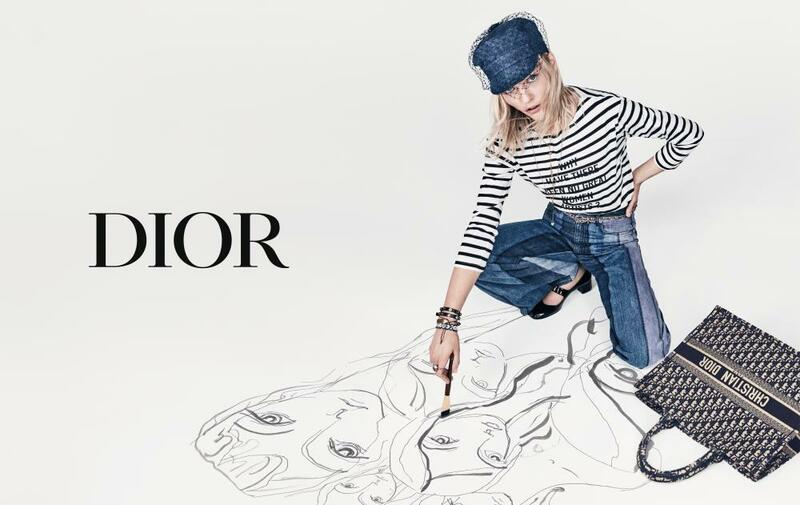 In Dior’s spring 2018 campaign, a model poses on a floor marked with flowing black line drawings of idealised faces. You can’t mistake the origin of these designs – Henri Matisse. Of course, these sketches are not actually by Matisse, any more than JW Anderson’s Moon Face earrings or Victoria Beckham’s Fluid shirt (which sold out quickly upon their autumn release) were designed by the man who painted the blazingly carnal Dance in 1910. In fact, Dior’s collection was inspired by the artist Niki de Saint Phalle, with references to her brightly coloured sculptures and mirror mosaics featuring heavily throughout. The overall takeaway from the brand’s SS18 advertising campaign, however, was pure Matisse. 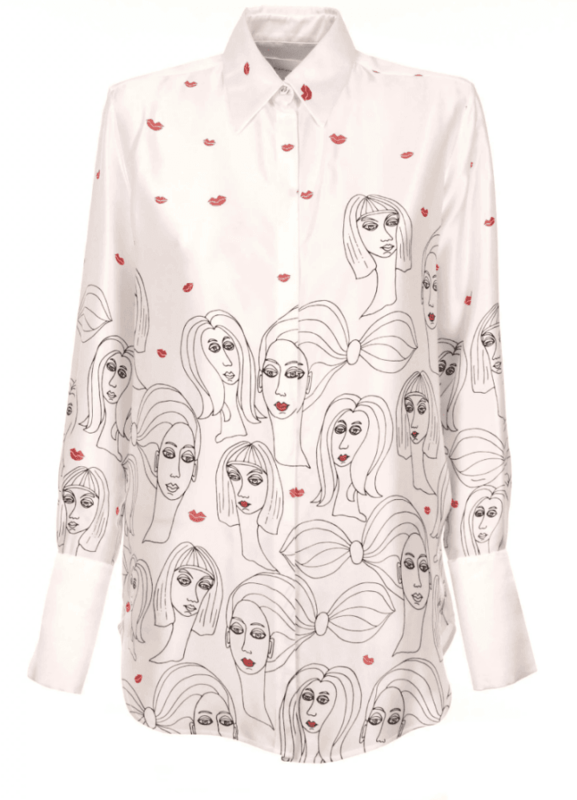 Because, 64 years after he died, the French artist is having a fashion moment. No modern artist has been as unapologetically sensual as Matisse. It is hard to know where to begin when drawing parallels between his purified abstract art of pleasure and the aesthetic boldness of modern fashion because there are so many threads in the weave. To start with the most obvious, though: colour. The Dior clothes mingling with those Matisse-like drawings include nocturnal blues that might be seen by a diver looking up through moonlit waters. 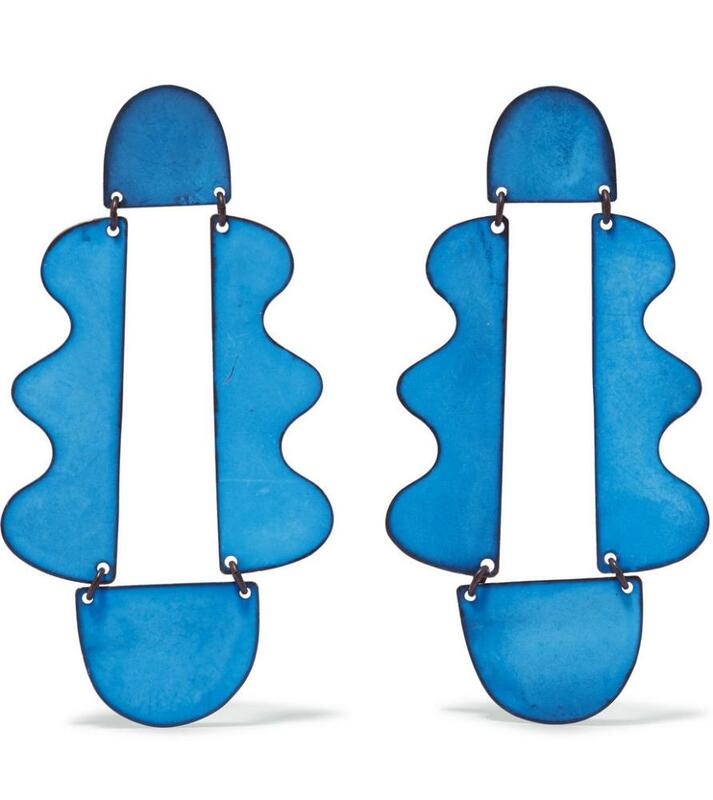 In another example of the Matisse wave, the blue and pearl ovals of Annie Costello Brown’s Skye Earrings resemble the night sky. All these aqua hues echo one of the most intense masterpieces of poetic colour that Matisse ever painted, his 1913 canvas The Blue Window. The depths of colour into which Matisse can dive are, in fact, related to his own interest in fashion and fabrics. 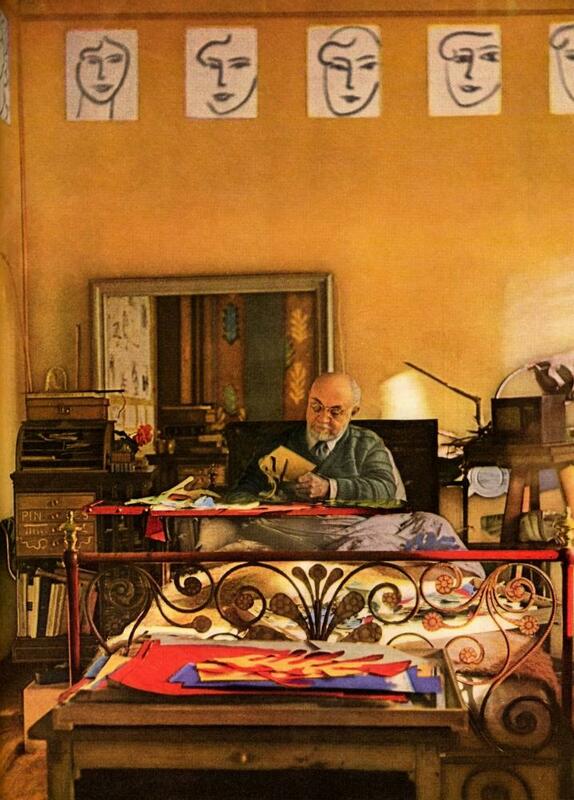 Born in 1869 in Picardy, northern France, where traditions of powerfully coloured textile weaving go back to the middle ages, he collected brightly coloured rugs and hangings all his life, especially from north Africa, and used them to create a private world of utopian rapture in his studio. You see the magic colours of these textiles, especially in his 20s paintings of models in rich interiors, which also show his eye for fashion: in Odalisque With Red Culottes (1921) he has his bare-breasted model show off a pair of opulent baggy pants. Matisse enjoyed fashion, so why shouldn’t fashion enjoy Matisse? Yet the current vogue is not so much about copying his culottes as putting on his masks. All these moon-faced earrings and floor drawings of haughtily gorgeous people are directly descended from the way Matisse reinvented the human face when he painted a portrait of his wife, Amélie, in 1913. It was the time when modern artists were looking at African masks in Paris’s Musée d’Ethnographie du Trocadero and enthusiastically collecting them. Picasso saw savagery and terror in these masks. 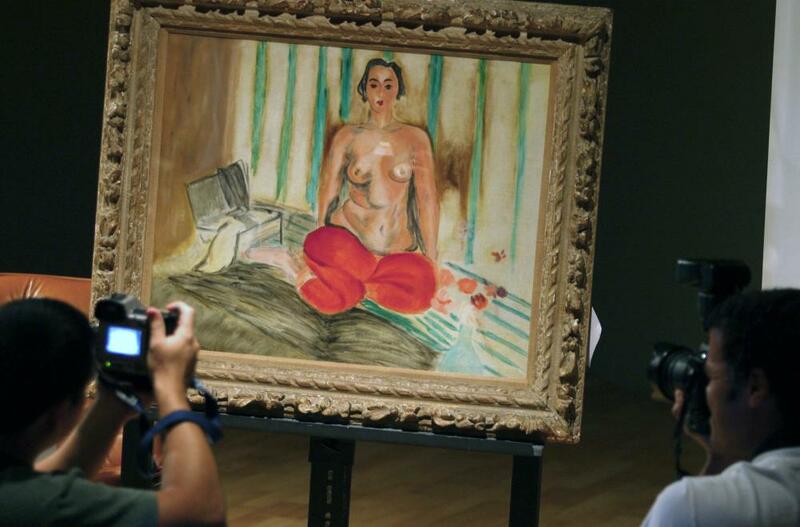 Matisse saw cool beauty. In his portrait of Mme Matisse he gives her a mask-like face with mysterious black eyes, carving her features into a regular, symmetrical ovoid shape – a moon face, even. That mask-like perfecting of the human face was to become an obsession in his art that culminated in a superbly pure oval gazer among the dreamy coloured cut-outs he created in his last years. He drew faces with a relaxed freedom that is itself part of the new Matisse mood. Why not fill space with lines that mean something, as Matisse did in his idyllic drawings and cut-outs? At the Oscars, veteran film-maker James Ivory sported a shirt with the face of Timothée Chalamet, star of his film Call Me By Your Name, portrayed on it, with Matisse-like sensuality, by the British artist Andrew Mania. That same romanticism wafts through all the hints and echoes of Matisse that are drifting gracefully through the fashion world. For Matisse is not some cold decorative artist. He is a hot, passionate one, forever chasing a beauty so extreme it could shatter reality and replace it with a dream. Surely fashion is another way of chasing that dream. Those Matisse earrings and that Matisse shirt are fragments of the utopia his art creates, in which body and soul become one. Or if that’s too heady, let’s just say that by imagining the human face as a godlike mask, Matisse created a truly democratic ideal of beauty – democratic because it’s heavenly. No one actually looks like the moon. At least not on the outside. In channelling this great artist, fashion is diving deeper than it is sometimes given credit for.